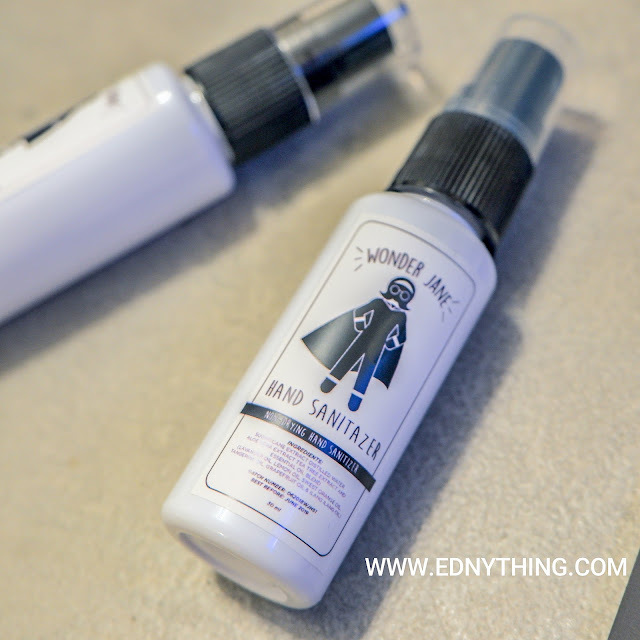 LJ Reyes launches her daily personal care kit - the Wonder Jane Travel Kit! Wonder Jane saves the day! Being a mom, LJ's main priority is her family's health and protection, and that inspired her in putting up her newest business venture offering a line of products that are perfect for your daily personal care needs. As a parent, it is of utmost importance to me that my family and myself are kept clean and protected all day long. With the different kinds of viruses and germs around us, it is always better to be safe and sure! Little preventive measures go a long way when we are fighting harmful agents. These products and all the products to come are definitely trustworthy in cleaning, protecting, and most of all, delicate to your skin! 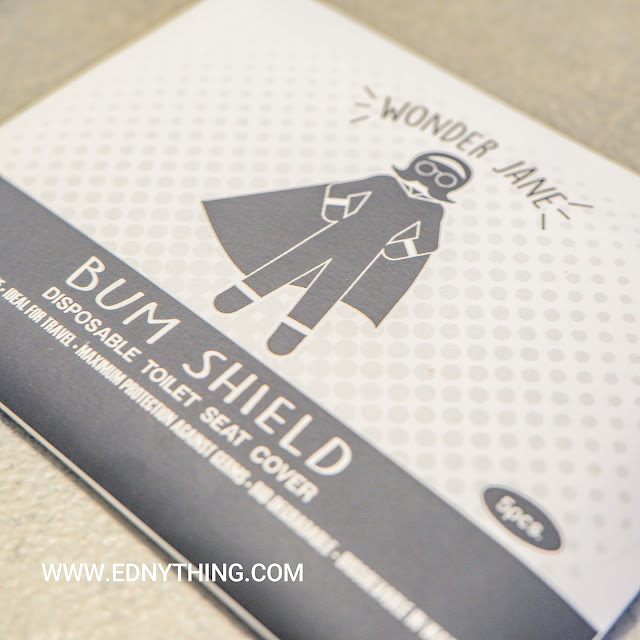 So should you feel the need to respond to the call of nature or protect your skin from insect bites, Wonder Jane surely got your back! The Wonder Jane Travel Kit is a 5-in-1 handy pack that you can bring anywhere you go. 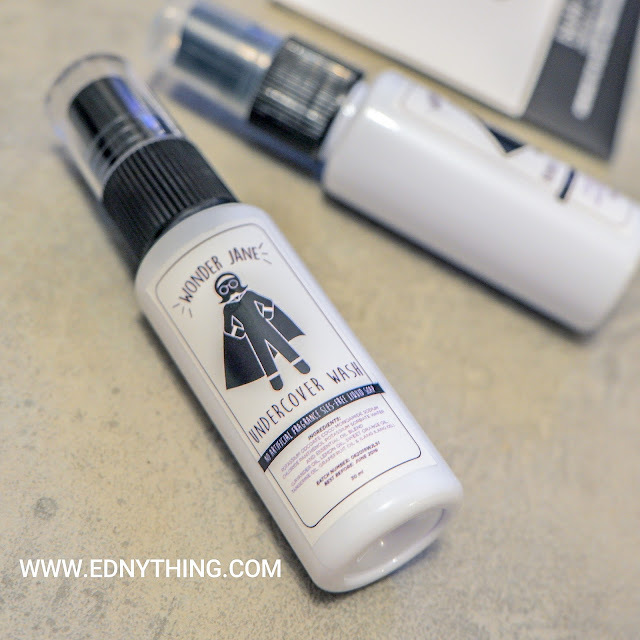 It comes in 30ml bottles and a pouch that you can slip right into your purse or everyday bag. Everything's organic so you don't have to worry about those chemicals that may harm you rather than actually give you the protection you need. 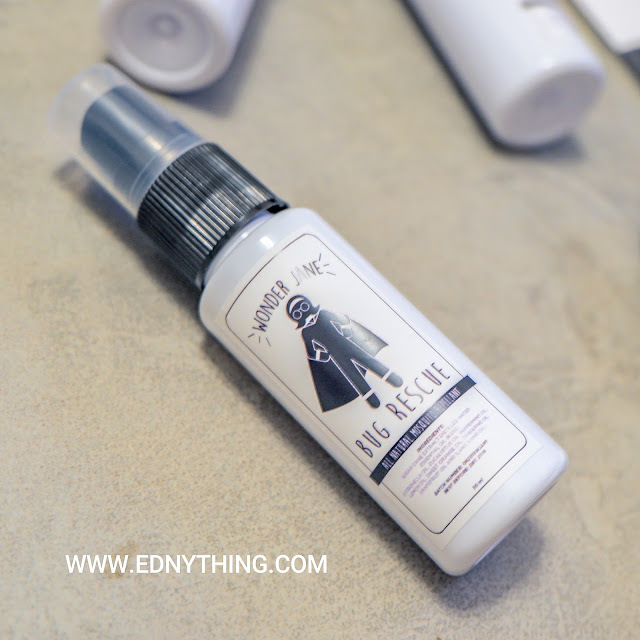 Shoo the mosquitos away without the unpleasant smell! Keep your body clean from head to toe! It's a shampoo, facial wash, body cleanser, and hand wash in one tiny bottle! Never leave the toilet smelling like a bomb! This all-natural poop spray will keep your toilet clean and pleasant for the next mission! Keep your hands germ-free without drying your skin! Never worry about using public toilets anymore! This disposable toilet seat cover will give you the maximum protection from germs, it's easy to use and biodegradable too! The Wonder Jane Travel Kit is priced at Php850 and is available for purchase starting September 21, 2018, at wonderjane.ph and soon, on your friendly neighborhood stores! EDnything is a lifestyle and entertainment blog featuring great deals and happenings in the Philippines. It also features food reviews, gadgets, showbiz, movies and theater plays, and more!